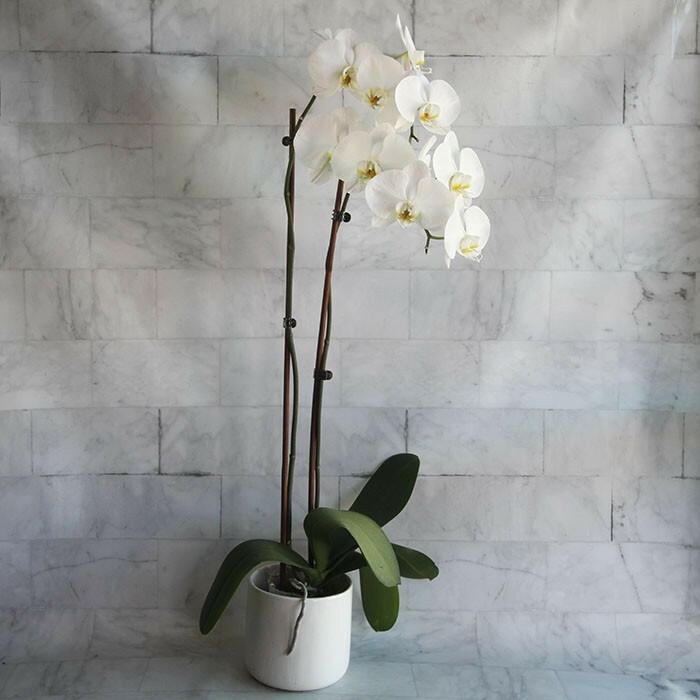 Elegant double white phalaenopsis that comes in a simple white ceramic pot. It's an appropriate gift for every occasion to bring a natural, earthly ambiance to your home. Low maintenance and easy care.